If you have (or are thinking about) a Blackberry, you might be interested in this list of apps for lawyers. Listen to NPR’s interesting interview with the ABA Journal Editor here. Coverage is not complete, especially in the early months. For example, in one case, there might be a respondent's brief but not the appellant's brief. For more, see Court Briefs & Oral Arguments. 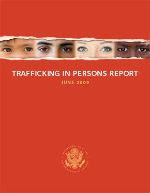 The State Department released the ninth annual Trafficking in Persons Report. It discusses trends in and types of human trafficking, and includes maps and statistics, but the bulk of the 300+ page report is the country narratives. Human trafficking is a multi-dimensional issue. It is a crime that deprives people of their human rights and freedoms, increases global health risks, fuels growing networks of organized crime, and can sustain levels of poverty and impede development in certain areas. The Law Library of Congress has published a review of habeas corpus rights in thirteen countries. Yemen to challenge the legality of their arrest or detention. This report is in the Current Legal Topics series, which also includes items on Abraham Lincoln, children's rights, John Adams, the stimulus plan, and other subjects. The Congressional Research Service report, Judge Sonia Sotomayor: Analysis of Selected Opinions, dated June 19, 2009, is now available. To fulfill its constitutional “advice and consent” function, the Senate will consider Judge Sotomayor’s extensive record – compiled from years as a lawyer, prosecutor, district court judge, and appellate court judge – to better understand her legal approaches and judicial philosophy. This report provides an analysis of selected opinions authored by Judge Sotomayor during her tenure as a judge on the Second Circuit. 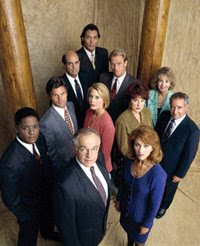 Discussions of the selected opinions are grouped according to various topics of legal significance. Judge Sotomayor's confirmation hearing is scheduled to begin Monday, July 13. SCOTUSblog has released a batch of statistics on the work of the 2008-09 Term of the U.S. Supreme Court. Also available is a Summary Memo and a Visual Representation of Supreme Court Voting Lineups.